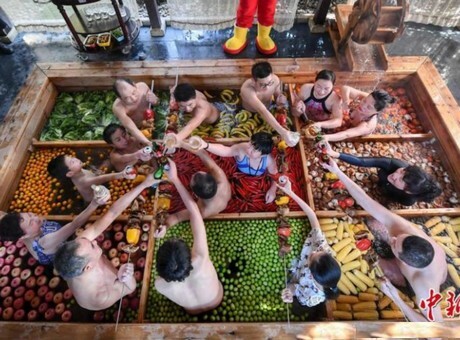 Several photos came out this week, showing a rare Chinese spring spa. 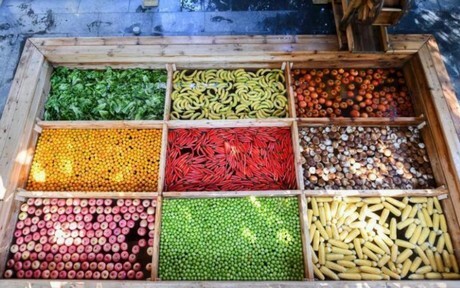 There, the water is separated into nine sections filled with nine kinds of vegetables and fruit, at a resort in Hangzhou City, Zhejiang Province. According to ecns.cn¸ the hotel said the special setting is for tourists to enjoy the Spring Festival.